For elegant affairs, only pearls will do! 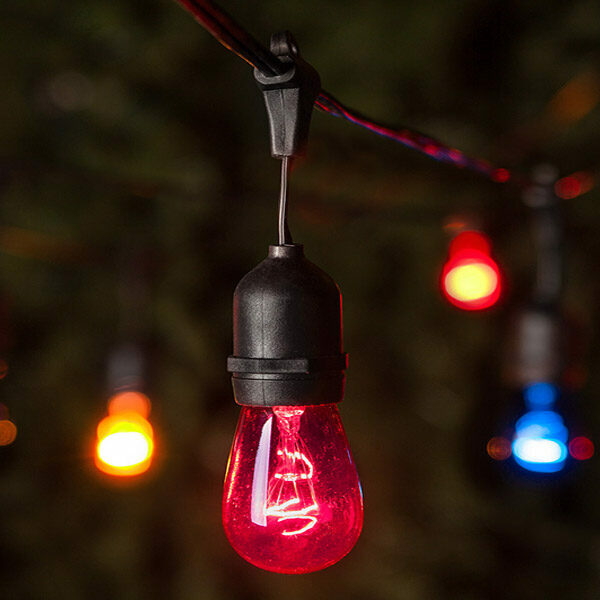 Large G50 bulbs with C9 bases cast a radiant glow across larger spaces and commercial grade black light strings blend perfectly against darker surfaces, allowing the luster of pearl white bulbs to sparkle while providing a weather resistant, professional quality display! Hang pearl white globe lights across a chic garden party, modern wedding venue or above a rooftop lounge to illuminate the atmosphere with bright, opulent light!